While offering extended operation in even the harshest conditions, Panasonic provides you with an outstanding ultra-high resolution image which is also bright and crisp.The 4K quality display constantly ensures that it is intricately detailed, with beautiful large-screen images with a dynamic scale. Even fine text and textures are reproduced with sharpness and high clarity. 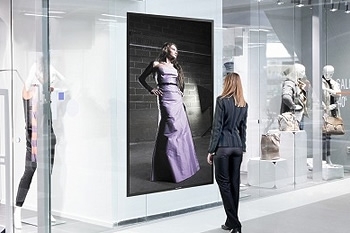 Panasonic has 2 different variations of its 4k large displays, the LQ70 series with protective glass which is designed to be used in fix installation where the product is in a public space and exposed to potential hits. The LQ70L series, comes without a protective glass layer, is lighter and has a higher perceived brightness, which is especially interesting for the AV rental industry. 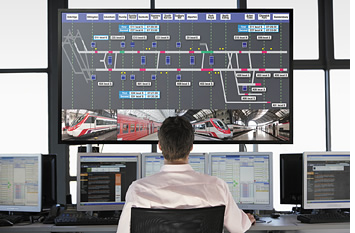 When the 4K Displays are installed vertically, it can display a person in almost life-size dimensions. It is also ideal for digital signage use because it faithfully reproduces the textures and colors of a model's clothing and accessories. It helps to maintain a high-quality brand image. Vertical installation also has no effect on the lifetime of the panel. The LQ70L series is a lighter version of Panasonic’s 4K flat panel display. With a 22% reduction in weight, just 105kg (98 inches) and 84kg (84 inches) as well as its special frame construction that's perfect for rental and staging companies, control room applications and conference rooms. The LQ70L series features ultra high definition picture quality, reliability and has quick and easy installation. *3G-SDI is supported by an optional terminal board.